Based in Cleveland, the Greater Cleveland Regional Transit System (RTA) traces its history back to the city's first electric railway cars in the mid-1900s. It provided the first such system in the United States. Today, the RTA oversees a system that encompasses 59 municipalities, 457 square miles, four rail lines, four trolley lines, three bus rapid trail (BRT) lines, and 55 bus routes. 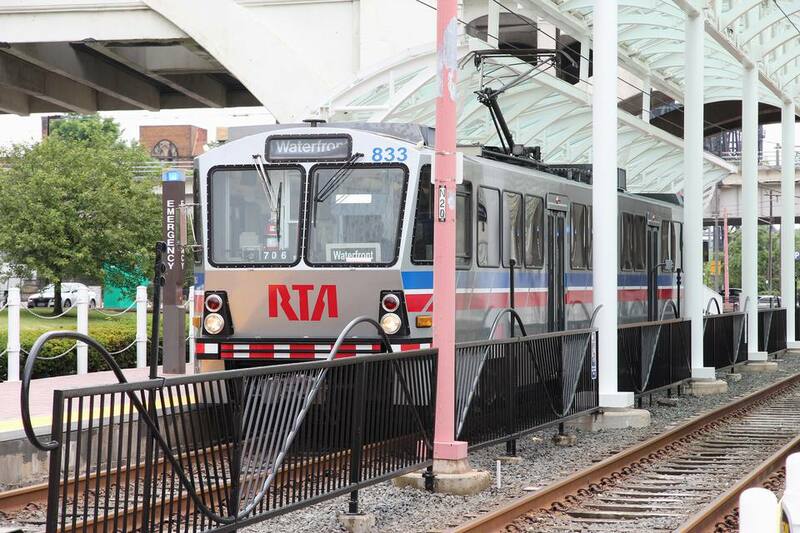 RTA provides approximately 44 million rides annually. Cleveland's public transportation system began in the late 19th century with the electric railways that connected downtown to East 55th Street and later University Circle. The light rail (rapid) trains were added between 1913 and 1920 when the Van Sweringen brothers added the service to connect downtown with their new suburb of Shaker Heights. The Cleveland RTA bus system includes more than 400 buses, trolleys, and circulators. The system includes 6,000 bus stops, 1,100 shelters, 55 routes, and more than 18.1 million vehicle service miles. The Cleveland RTA Rapid train system includes four lines. The Red Line connects Cleveland Hopkins International Airport with the Terminal Tower to the west and the Terminal Tower to Windermere Station on the east side. The Green Line connects Terminal Tower to Green Road via Shaker Square, and the Blue Line connects Terminal Tower with Warrensville Road via Shaker Square. The Waterfront Line connects the Cleveland Harborfront (near the Rock & Roll Hall of Fame), the Warehouse District, and the East Bank of the Flats with Terminal Tower. The downtown Cleveland trolleys connect the Terminal Tower with Playhouse Square, the Warehouse District, and the East Fourth Street Entertainment District as well as linking the government buildings along East 12th Street between East 12 Street and the Warehouse District. The website provides current weekday and weekend operating hours. A third line connects the Cleveland Municipal parking lot on Lakeside with Public Square on weekdays. RTA Passes and fare cards are available online, at many local businesses via the computer advantage program, on the bus or train, at the RTA Service Center at the Tower City Rapid Station, and at more than 150 outlets throughout Northeast Ohio. Cleveland RTA offers parking for more than 8,000 vehicles at Park-n-ride locations. There, riders can pay one fare to park and ride the bus to work. Weekly and Monthly passes are also available. Park-n-Ride lots are located in Brecksville, Berea, Bay Village, Euclid, North Olmsted, Strongsville, and Westlake. One of the latest RTA developments is the Euclid Corridor Project, a dedicated route that connects Public Square in downtown Cleveland with the arts and cultural district, University Circle, Cleveland State University, and the Cleveland Theater District. The route has special, energy-efficient vehicles, a dedicated "smart" transit lane, and a series of public art projects. The Euclid Corridor Project was completed in October 2008.